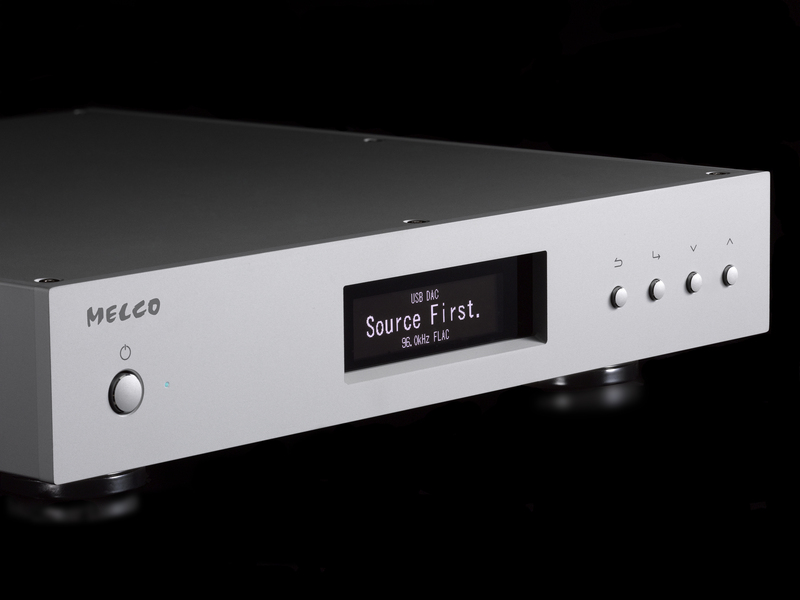 The newest model from Melco Audio, the N100 is now on demonstration. The N100 is an all new model in the Melco range, in the same compact size as the D100 CD Drive and E100 Expansion drive. It features a single 2TB hard drive and offers the same functionality as the other Melco models. If you have lots of music and you fill the hard drive of the N100 adding an E100 will give you an additional 3TB of storage with no compromise in sound quality over the internal drive. Priced at £1800 it comes in as the new entry level model in the range (the N1A/2 is £2400) and in the new compact case it certainly won’t take up lots of room if space is at a premium. 1. Connect a Melco D100 CD drive to one of the USB sockets on the rear panel, this is without a doubt the very best way to get your CD collection ripped. An external IT CD drive will work as well. 2. Connect a USB hard drive or USB stick into either the front or rear USB socket and select import. The Melco N10 can be integrated into a system in a variety of different ways, depending on what equipment you own. If you already own a UPnP network audio player, like a Naim Uniti, NDX, Linn Selekt DSM, Cyrus or Lumin for example, the Melco can effectively act as a NAS drive, replacing your existing IT NAS device and offering a significant upgrade in performance to boot. The Melco has 2 ethernet ports – 1 labelled LAN to connect to your router and another labelled player to connect to UPnP audio player. Using this connection means your Naim/Linn is not connected directly to the router. It still operates in exactly the same way, nothing changes in that regard, you still use the same app for control, and any music streaming services will still work perfectly. This direct connection concept is called Direct Streaming Music – DSM – and it is unique to Melco as in conjunction with the Ethernet purifier between the LAN and PLAYER ports DSM ensures that the Player receives only clean and accurate data, all packets are timed with low-jitter precision and all unwanted traffic is blocked. LAN lights can be disabled for highest possible data integrity. If someone has a good system already the addition of a Melco over an IT NAS drive always results in an improvement in performance. More detail, information and refinement. 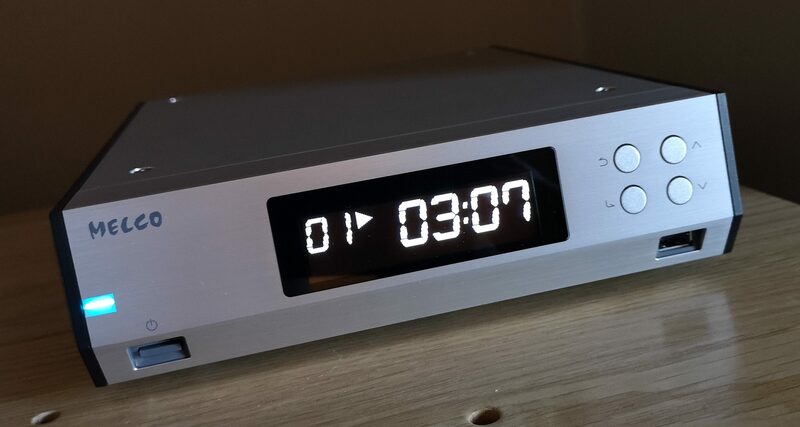 Most people who have been running a QNAP or Synology for a number of years are sceptical as to what a Melco can offer, until they hear one and everyone is taken aback at how much more musical and informative the Melco is. Control is simple enough, Melco have their own control app available now, and there are plenty of good third party apps from Linn, Lumin and Bubble that all work really well. 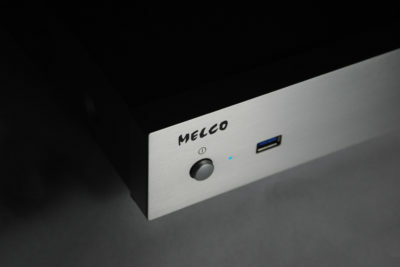 If you connected via a USB DAC you also have the option to sign into your Tidal and/or Qobuz accounts and stream music that way as well as off the Melco’s own internal hard drive. 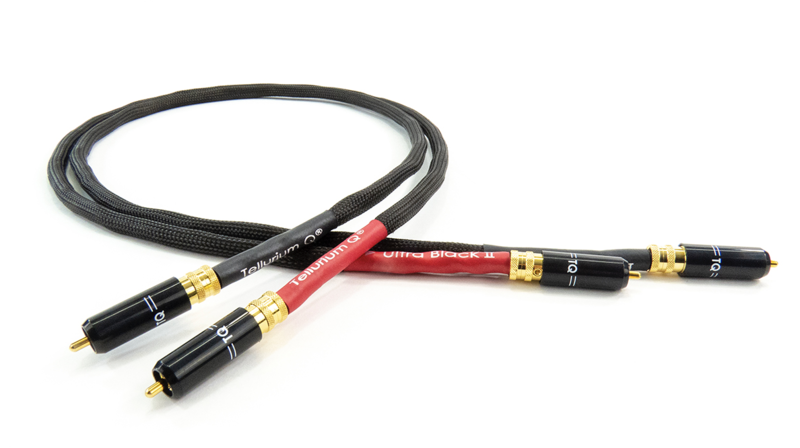 The performance you will get all hinges on the quality of the USB-DAC you are connecting to ultimately. 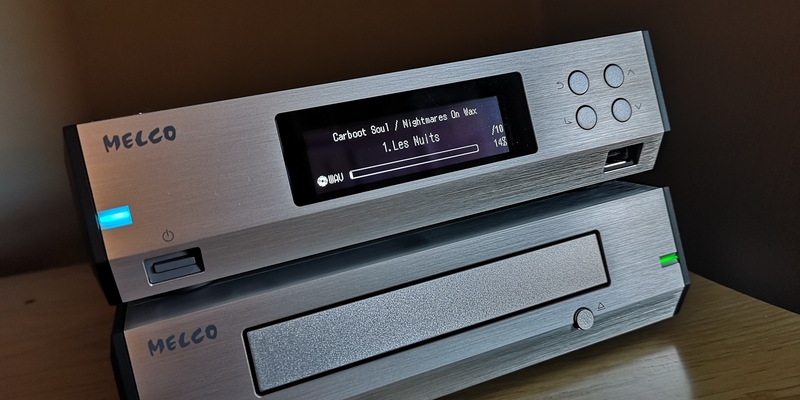 When connected via USB and playging uncompressed CD rips the Melco is effectively a bit-perfect digital transport so it is presenting your DAC with the best possible information which is a brilliant starting point! It sounds fantastic connected to a modest entry level USB-DAC, but the performance will grow as you step up to something further up the USB DAC ladder. The image below shows an recent install of an N100 connected to an Exogal Comet Plus DAC using a Tellurium Q Black USB Cable. With high quality desktop audio and headphones rapidly becoming a popular sector of the industry the N100 could be utilised brilliantly connected to the USB socket on a headphone amplifier as well. As you can see the N100 is a brilliantly flexible piece of equipment and one which is wonderfully engineered as well. It really is beautifully screwed together and takes up no space at all. If you’ve been thinking of getting into digital audio but didn’t know where the start the N100 would make a brilliant choice – as with all Melco models you do not need to use your computer to set it up and operate. We have the N100 and the full Melco Audio range available for demonstration both at Audio Therapy Towers and also in the comfort of your own home and own system. As an authorised Melco Audio Master Dealer you can assured of expertise advice and fantastic customer service on all things digital, Melco and streamed audio!